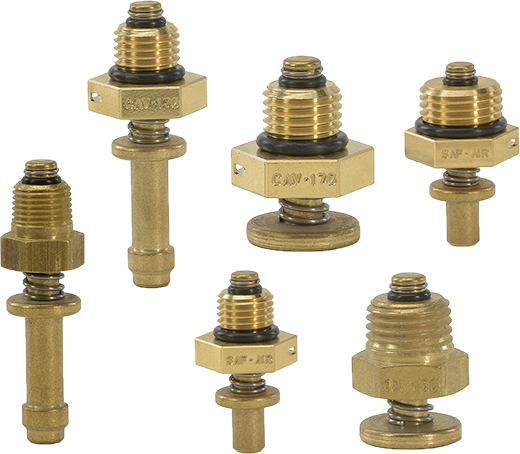 Since 1959 Saf-Air Products is proud to offer a wide variety of fuel drain valves that stand alone in their longevity and cost-effectiveness. One of the innovative features of our valves is that we use standard o-rings made of Viton which is extremely durable and can withstand a wide range of temperatures. The o-rings may be replaced on many of the fuel drain valves and we offer replacement kits. Also, we wanted to extend the life of the valve, so we now manufacture the push type and the flush type fuel drains in brass. 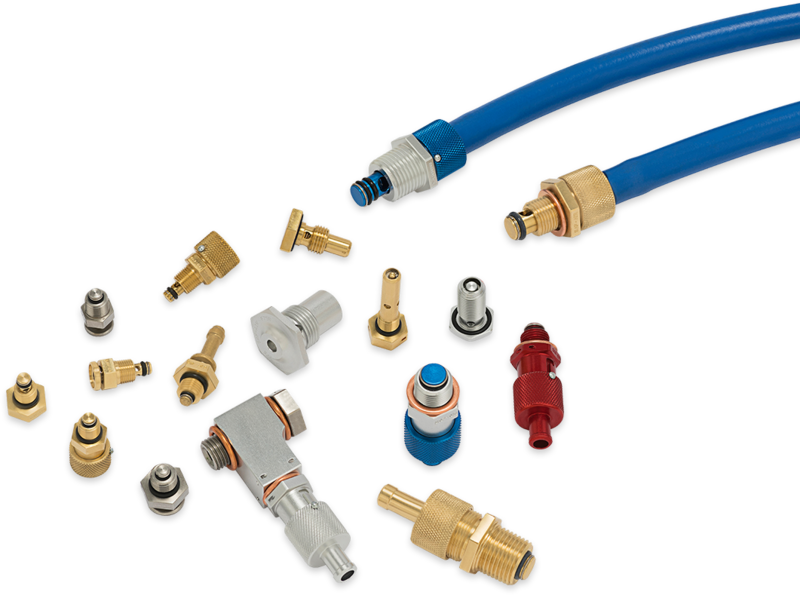 In addition, the push-type valves are available in stainless steel. This is the perfect choice for those around salt water or agricultural uses since stainless steel is non-corrosive. Never before has there been a cleaner, easier way to change your oil. Saf-Air Products is the leader of certified oil drain valves in the aviation market. Our unique design received a US Patent in 1995 and now covers most aviation engines produced. Distinguishing features offered on our oil drains keeps our valves the most popular choice of airplane owners and mechanics. These valves are affordable and rebuildable with our replacement kits. Saf-Air Products has recently made some very positive changes to our product line. Visit our products page for complete information. The new 75B fuel drain for Beechcraft airplanes. The new SA5020 fuel drain approved for 13 Fairchild Metro Airplanes. The new CAV-M165 fuel drain for the Soccata TB20 airplanes. The new Banjo Bolt oil drain adapter for the Rotax, Volkswagen, Continental and Jabiru engines. Part numbers M1490B, M1290B, S6290B and S5090B. The new oil valve/adapter assembly that replaces the AN nut. The new oil drain adapter (RM12175) for Rotax engines manufactured after 2014.